Coming from Napa Valley, we just can't seem to get away from Cabernet Sauvignon. This is a not bad thing at all, we just figured we would be swimming in Syrah, Grenache and Mourvedre since we're in Provence, and those are the main grapes. After trying a considerable amount of wines in this region though, we've come to really appreciate the addition of this truly noble grape. We've discovered that by and large the French like their wines soft and elegant on the palate, and the small addition of Cabernet Sauvignon is not overpowering whatsoever, but actually brings out the best in the other varietals it's blended with. It provides greater structure for rich foods, better aging and infuses the wine with a beautiful magenta color. We loved the 2007 Pas du Cerf Rouge (70% Syrah, 10% Grenache, 20% Cabernet Sauvignon) with an Asian-inspired meal of lamb lettuce wraps and a vegetable and egg noodle stir fry. The spice and blackberry fruit in the wine paired beautifully with the lamb, as well as with the rich flavors of the oyster sauce in the stir fry. 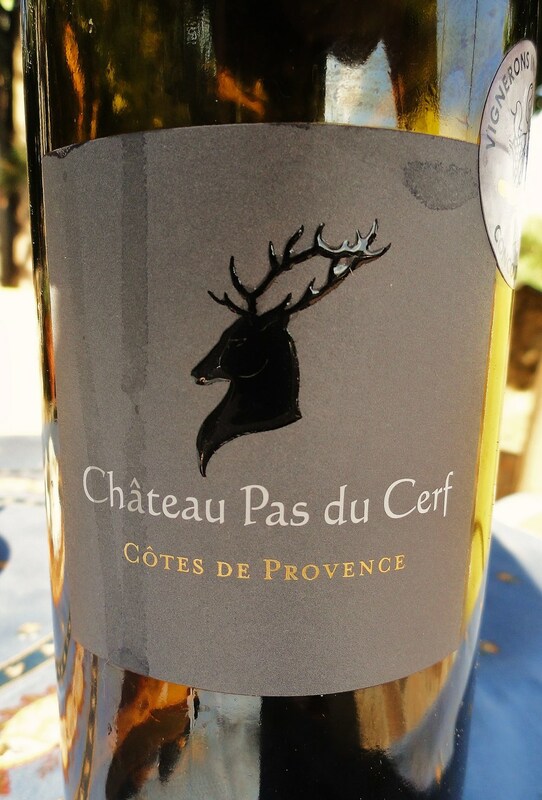 This was one of Pas du Cerf's higher-level wines, but the chateau also offers cubis of their entry-level rose and rouge. In our opinion, the 2007 Rouge mentioned here is great for a special evening and definitely of a higher quality than what we tasted in the cubi, but the bag-n-box wines they sell are perfect for everyday drinking, cooking or parties.